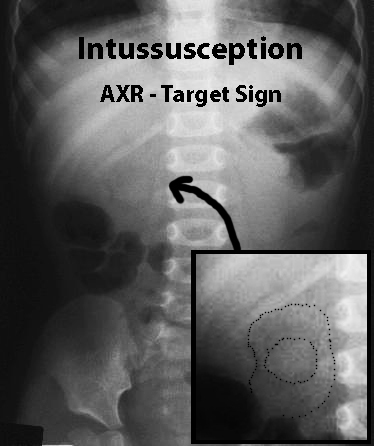 Intussusception is the invagination of a proximal segment of bowel into the distal bowel lumen. 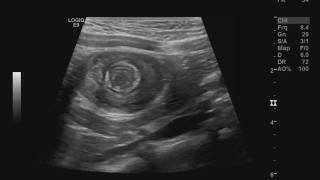 The commonest occurrence is a segment of ileum moving into the colon through the ileo-caecal valve. 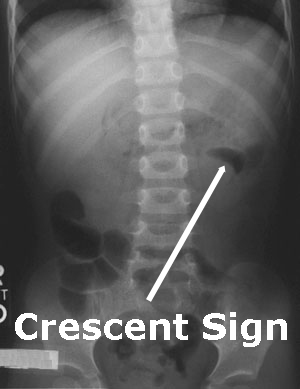 Any age but commonly occurs in the 2 month to 2 years (peak 5 to 9 months). Intermittent pain which is colicky, severe and may be associated with the child drawing up the legs. Abdominal mass – sausage shaped mass RUQ or crossing midline in epigastrium or behind the umbilicus, palpable in about two thirds of children.